It was slated to be the longest night training LSD in the NightHawk Program, and turned out to be the most challenging as well. The initial conditions were rather cooling as we ran alongside the green lung of OUTR, but once out onto UTR, we had to contend with a few traffic junctions and some heat generated from the road traffic. There was some relief when we hit the connector road along Mandai Roadand it was rather nice pacing all the way to Mandai Lake Road, the entrance to the Zoo. The HM folks reached their U-turn point at Yishun Ave1/Mandai Rd at a good average pace of 5:40min/km. When they turned back, they would be trying for a slight negative split, running slightly faster in the second half if their conditions allowed and their fuel tanks have been economically managed up till then. The FM group turned left onto Mandai Roadfor that longish stretch towards Mandai Zoo. The group was rather tight knit with about 8-10 runners bunched up running at comfortable pace. A quick gel, drink and regroup later, the group was back on the return for the remaining 15.5km. Groups 2 and 3 quickly surfaced from the distance, telling us that they probably were running at quite a fast initial pace. Group 1 runners and pacers were rather bunched up with 2 main sections, 1 going at about 5:20min/km, and the other 5:35min/km, not too bad since we could cater to the different running targets within the same pace group. The Kookaburra Program was into its 3rd session, and with basebuilding in mind, the Kookaburra trainees were all too happy to go along with the running guides doing 16km and 25km distances. 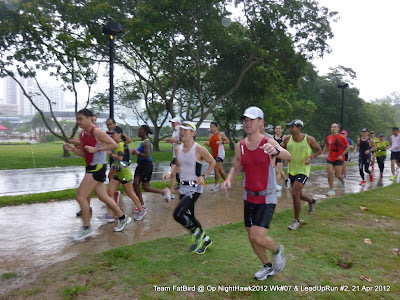 Because the group is smaller, they were able to keep together within their respective timings and eventually completed 26km, not too bad for only the second time they were running with FatBird. The key lesson for the night must surely be the sudden change of weather to one with humid conditions 1.5hrs into the run. That made the return leg of the runners much more challenging, and there were a few incidents of ‘loss of power’ through fatigue and dehydration. Although many brought along their fuel belts and hydration packs, they were not prepared for those levels of humidity and warmth. The humidity got on to some of the runners who had emptied their hydration ahead of plans, and there were really no water points along that longish stretch of Mandai Road for replenishment. By ¾ of the journey, paces were dropped in Groups 1, 2, 3 and 4, with a number having to take more walk-breaks to recover and gain a second wind. With a strong base built up over the past few weeks, the trainees were able to eventually overcome the challenges of the Wild Night, although many were drained by the heat and felt quite exhausted at the end. It was a good experience for all the Nighthawks to understand how their bodies perform for night running, the humid conditions leading to rapid loss of fluids and electrolytes, the low visibility causing the mind to tell the body it is tired and wants to go to sleep, etc. If not for the groups that they were running along with, many of them would have stopped and walked all the way back. Back at MacRitchie Amenities Centre, there were more time spent this evening on debriefs and feedback on the feelings of the challenges of running at night. We have learnt much about night running and that it poses different challenges from day running. The NightHawks and Kookaburras can be proud of themselves that they went through the Wild Night relatively unscathed although some had encountered difficulties along the way. It is through toughing it out at such runs that we can be conditioned better for race night – the mantra of ‘Train Hard, Race Easy’ never rang so true with the NightHawks & Kookaburras until this evening. We are glad we got to experience the tough conditions, which will serve to strengthen us as well as not to take the marathon/half too lightly, esp. one that is run at night. We now enter the final stages of marathon training with the culmination of the longest LSD next weekend, all 21km-35km of running glory, this time in the morning and going at Optimal Pace. Till then, we will have a good rest while reflecting on the lessons we garnered from The Wild Night Run at MR. It was a much anticipated lead-up run for many, and we were not disappointed – what with the showers of blessings and the additional mileage which we managed to hit on target pace (in fact, was slightly better than even pace). In spite of the twin marathons of Baliand Run350 this weekend, there was still a good turnout of nearly 90 lead-up runners with another 80 NightHawk trainees to boot. 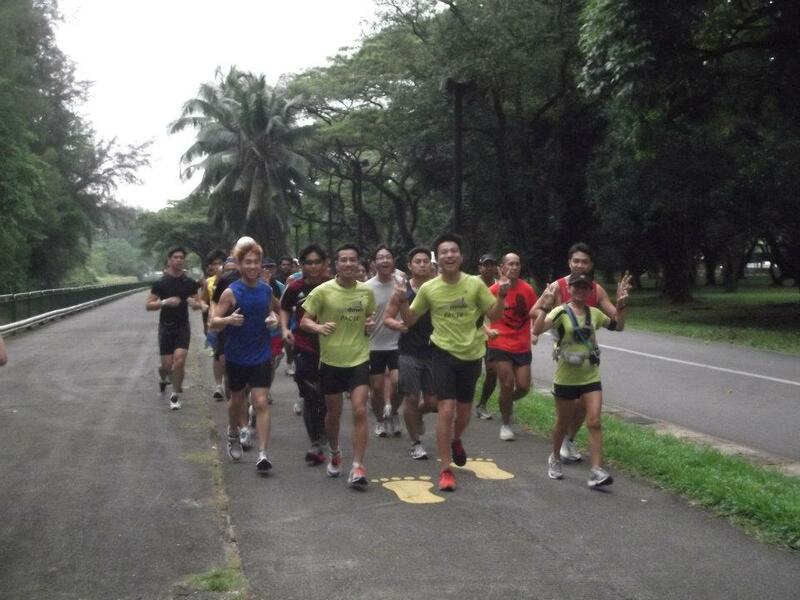 Along with the Sundown Pacers, the 200 of us were a standout at the relatively quieter ECP this morning. The Sundown Marathon organizers were already there before dawn, setting up the staging area when we arrived. There was a hive of activity as the Pacers received their final coordinating instructions, and the participants queued to sign-in. Many of them came prepared for a good workout, although some have not had much of a base-building phase before this. Nonetheless, we were going for even-pace running after a brief introduction to pacing for the audience. The Sundown Pacers, in their distinctive green tops, were all ready to set the pace for their respective groups of HM (2:00h, 2:15h, 2:30h) and FM (4:00h, 4:30h, 5:00h, 5:30h, 6:00h). After the briefing and group photos, the respective pace groups were flagged off to the sound of air-horn and whistles, and that got their adrenalin pumping and energy levels up for a good start. 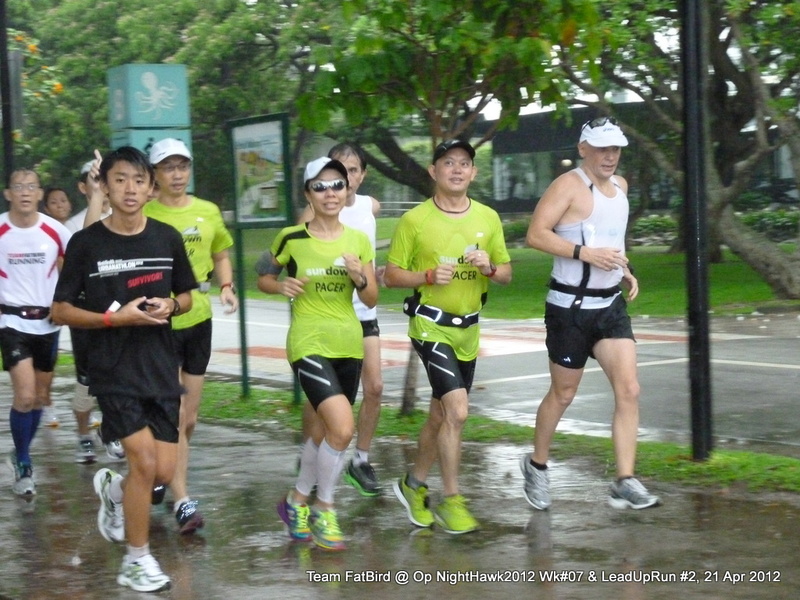 Maxifuel (the official nutrition sponsor for Sundown 2012) were on hand with 2 fuel stops to fuel-up and energize the group for this 20-28km run. The lead-up runners and Pacers were steadily pacing in groups, all very uniformed and smart-looking. The first 9km was covered with much pleasure, getting to know one another, and avoiding a faster-than-required pace. The first F2 Fuel-Point was met with much excitement as cheers welcomed us, although we were not feeling too thirsty because of the cool weather, and the drizzle that was starting. To keep the momentum going, we stopped for less than a minute, getting sufficient drinks before moving back towards The Playground. By then the rain was rather heavy. Since there was no lightning, and the various pace groups having checked with the runners of their comfort levels (many of them could not have felt stronger in that cool weather), decided to continue on to the delight of all who made the effort to come all the way just for this preparatory LSD. The mid-point was reached with most of the groups banking in a few minutes because of a slightly faster 1st half. Bananas, gels and isotonic drinks were served at the Playground fuel point, before the runners moved on towards Fort Road for their second loop. The cool weather, coupled with the good nutrition support, allowed most of the runners to be able to sustain the good pace in the second half of the run. It was thanks to the Pacers’ regular reminders to stay on pace that prevented the groups from running too fast and splitting up. 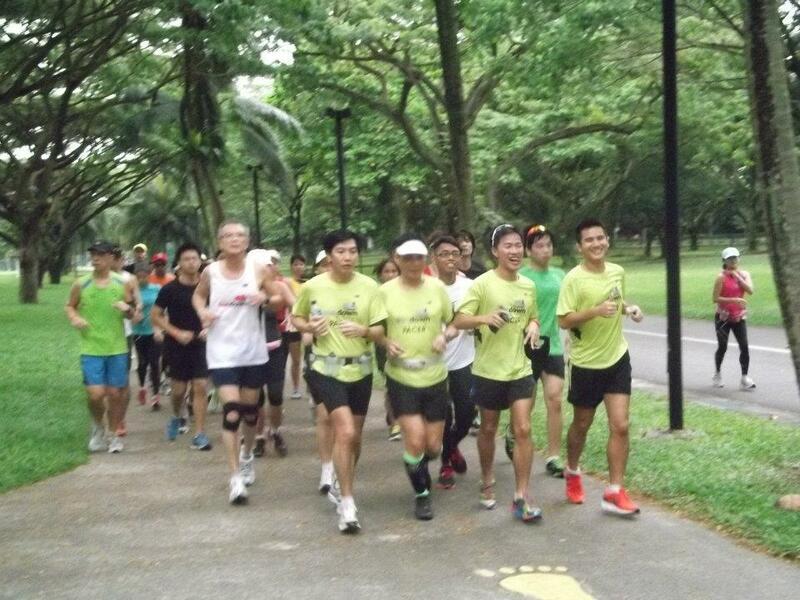 The runners stayed close together till the 18km mark before the HM groups turned back at C4 to complete their 20km. The FM groups continued on with their target paces to the F2 Fuel Station for the second time. Spirits were high as the motivated runners kept on to their targets to complete the remaining 6km from F2, for a grand total of 28km for the FM groups. Many were elated when they heard they had achieved a bonus of 3km from the intended 25km, what with maintaining the good paces they had targeted. The weather and pace group support helped lots, resulting in a happy and thankful bunch of lead-up runners and NightHawk trainees (who went on to do 31km for FM). The Official Sundown team of photographers and support crew were at the finish line to greet and welcome all the runners back, and as they ran past the Sundown Banner Posts in what felt like a race-day finish, the sense of satisfaction in having completed the long run was just so enriching and motivating for the soul. Discussions of why some of us were able to complete the long run and yet feel good continued in the midst of planning for the finale Lead-Up Run of 30km on May 6. A large number of lead-up runners are already preparing to return for what might be their longest run before Sundown, and we certainly look forward to having an even bigger and better run than what was experienced this morning. As we cleared up by 11:30am, and walked merrily from The Playground, we could still hear echos of GO, GO, SUNDOWN, the whistles blowing, and the imagery of our strong runs lingering on in our minds long after for the rest of the day. Thanks for all who participated, especially the organizers Sundown Marathon, the Sundown Pacers as well as the nutrition support from Maxifuel. We all made SUNDOWN EXCELLENCE HAPPEN! 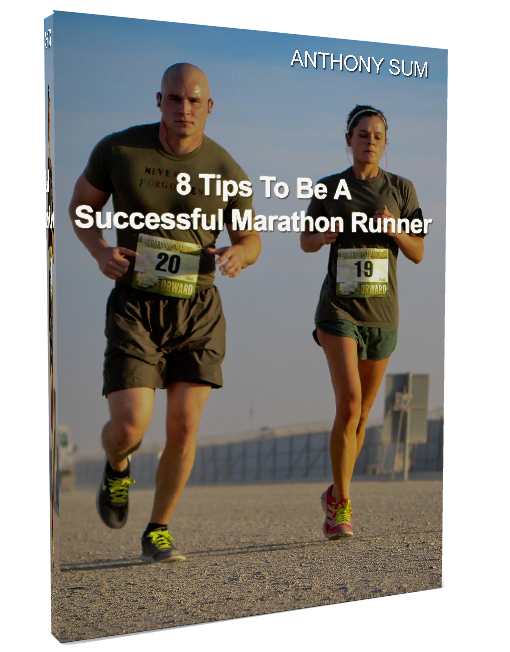 Looking for that latest cushion trainer or minimalist running shoes? How about some sprightly attire to go with them? 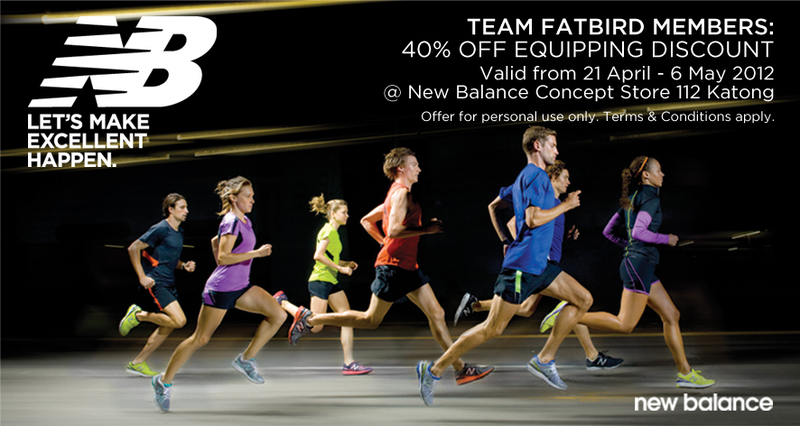 We are pleased to bring to you the highly popular New Balance Singapore discount program for Team FatBird. Refer below for the Terms & Conditions of this discount program. Please send queries about this promotion or other FatBird discount programs to teamsales@teamfatbird.com. ORDER HERE for FatBird Running Top. 2. This offer cannot be used in conjunction with any other existing promotions or discounts at the concept stores. 3. The discount offer is restricted to PERSONAL USE and cannot be extended to family members or friends. 4. Proof of identity can only be made using the name list provided by Team FatBird. Members may be required to produce their NRIC or Training Cards for verification. 5. This offer is valid from 21 Apr – 6 May 2012. 6. The discount is only valid for New Balance products, except Fixed Price Items and Limited/Selected Edition Classic Footwear. 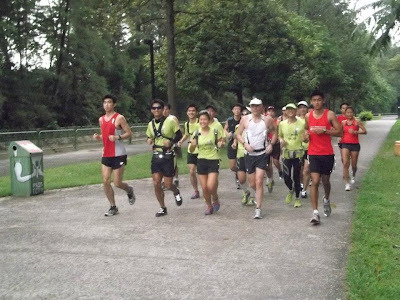 The Operation Kookaburra 2012 participants started the first session of training with a daunting challenge – overcoming the difficulties of night running along one of the most ‘mentally’ challenging routes – The Changi Coastal Road. Likewise, the Nighthawk trainees who were into their sixth session of training, although armed with strong bases, would find out that this ‘Demoralizing’ stretch no easy meat. It had been a while since we did our training from Changi Beach Park. Thanks to the early warnings from our advance parties/crew, we were able to shift the start/end points to a nice shelter very close to the toilet. The Kookaburras were early for a welcome briefing and easing into the FatBird format of training. By 8:00pm, a crowd of more than 150 had gathered for a combined training run of the two groups, each with their own trainers and pacers for different training requirements and distances. Armed with matching lighted wrist-bands for different pace groups, the Kookaburras were flagged off first, followed by the NightHawks. Each pace group started separately, 30sec apart, to give some space for group identification and pacing. There were lots of chatter along Changi Coastal Road, and that kept the runners running as tight-knit groups and feeling quite good. All the way to NSRCC, the respective groups of runners were highly motivated and didn’t felt too much fatigue. The paces set were faster than normal, and that could be because of the strengthening base of the trainees. The smaller group of Kookaburras were running quite well independently, although many were trying to find a comfortable pace to settle in – all understandable since this is only their first run in the 12-week program. The well-lit Coastal Road was brightened up with the different coloured lights adorned by the NightHawks and Kookaburras. After a quick break at NSRCC, the NightHawk FM groups proceeded to do an additional 8km, while the Kookaburra FM and NightHawks HM runners turned back for the finish. The road back was a mentally challenging one as runners had to contend with the humidity, body wanting to go to sleep, the demoralizing Coastal Road stretch with poor visibility and nothing much to see. Through the various group support and peer encouragement, the trainees were overjoyed when they finally saw light at the end of the Coastal Stretch – they had conquered the full 14km (2-way) stretch of Coastal Road, no mean feat in itself. The remaining 3km along Changi Beach Park was so much easier as we headed for the end point with much satisfaction to know we had accomplished one of the toughest runs in the whole training program. Iced-cold Gatorade mix and bananas were downed, and from the tired faces of the runners, we could tell that this one did stretch their limits, but would help them in more positive ways than one. The runners were amply rewarded with nice wash-ups at the nearby toilets, and a complimentary copy of the inaugural RUN Singapore magazine each, a publication that is specially tailored to the local running community, something which we have not had before. Lots of exciting chatter and post-run photo-taking later, the final group of runners returned by 11:30pm. Almost all exclaimed the challenging aspects of this route, and without any company en-route, many expressed they had on more occasions than one harboured thoughts of walking or even sitting by the shelters to rest. The Pacers and Running Guides did a good job of keeping their charges moving and completing the mental stretches, and in the end, the satisfaction could be felt with the finishing together of the run in pretty good shape. With the final installment of basebuilding completed, the NightHawks can now look forward to easier days when Pace Training begins from week #7. The Kookaburras, having completed challenging week #1, have set the tone and expectations for the remaining weeks to come. All in, it was a very satisfying night for most, especially after having conquered the infamous ‘Demoralizing’ route. If you are seeking group training for Gold Coast Airport Marathon 2012, REGISTER HERE to join Team FatBird’s 12-week structured training program. It was session 5 of Ops NightHawk, and this time, we were primed for some good hills training at the infamous Mt. Faber western hills region. This training ground is quite new to many of the NightHawks and Sundown Marathon Pacers alike, and all were just raring to get out there to consume the hills and slopes. 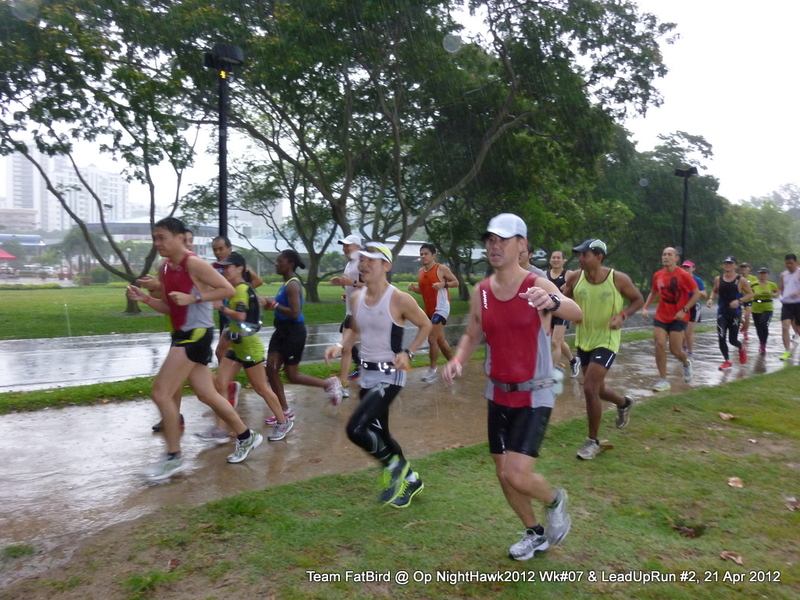 After the briefings and group photos, we set off in the respective Pace Groups to hit Depot Road, Alexandra Road, before entering the quiet surroundings of Labrador Park. In view of training objectives, we had a modified Figure-Of-8 version of the Labrador & Tunnels loops, covering all of 2km/loop. The HM groups were given time to do 4 loops while the FM groups went for 6. There were lots of encouragement and cheering for the NightHawks as we navigated round Labrador Park amidst some singing from presumably Church Groups for the Easter Day celebrations. The slopes seemed that much more palatable as we chatted and laughed, and before we knew it, we had already done 3-4 loops. At the end of each loop were always the Pace Group leaders and fellow groupies to support and encourage the NightHawks do their best to complete the given mission. By the time we exited Labrador Park, most had done a respectable 13-15km of rolling hills, ready for some conditioning in the sun along the mountain foot of MF. With the group dynamics and influence, many of the us found it plausible to keep going in spite of the tough terrain in sight. The HM groupies were still running strong (none walking at all) through the final 3km up Telok Blangah Way. By the time we reached back to the ClubHouse, we had done 20-25km worth of rolling slopes LSD. Seeing the satisfied looks on the HM groupies’ faces, the FM decided to carry on to complete their 5-8km in spite of all the temptation to stop to rest in the shade and sip iced-cold Gatorade and recovery drinks. Not wanting them to stop for too long, the FM Group Pacers summoned enough energy to usher their respective groups out back onto the slopes of Henderson or depot Road, keeping a steady pace to complete the final stretch for 28-30km mileage completion. By 11:30pm, all groups completed their runs to great satisfaction. Although we were tired, many of us still had sufficient reserves to go longer….we kept to the max time stipulation and will keep the extra reserves for the next progressive LSD. It was evident that these NightHawks, after having gone through 5 weeks of solid basebuilding, are stronger and can go much longer than when they first started slightly over a month ago. It is heartening to see their efforts and commitment to training paying off, translating into good progress and strengthening of their distance running capacities. The training ended well on time at 11:30am, after mini debrief sessions were held, and trainees getting their queries answered. Overall, it was a very good foundation training for those that came, and as we enter into the final weekend of basebuilding, this time in the night, the NightHawk’s improved confidence levels will put them in good stead to set the stage for Pace Training in the second half of the 12-week training program. NightHawks, NightHawks – Scored The TEST! NightHawks, NightHawks – We’re The BEST!